Mendoza is a city of about 1 million people located in a large desert valley next to the great Andes Mountains which dominate the skyline from the outside of the city. The valley here is truly desert, once you are outside of Mendoza you will see the native vegetation is certainly what you would find in any typical desert. However, there is plenty of water here as the great Andes are are Mendoza’s neighbor – and there is a huge drinking water reservoir for the city about 1 hour from downtown. Even though greater Mendoza has about a million people the center of town retains its small feel. This does not feel like a city of a million people. Most of the main attractions within town are well within walking distance of each other. 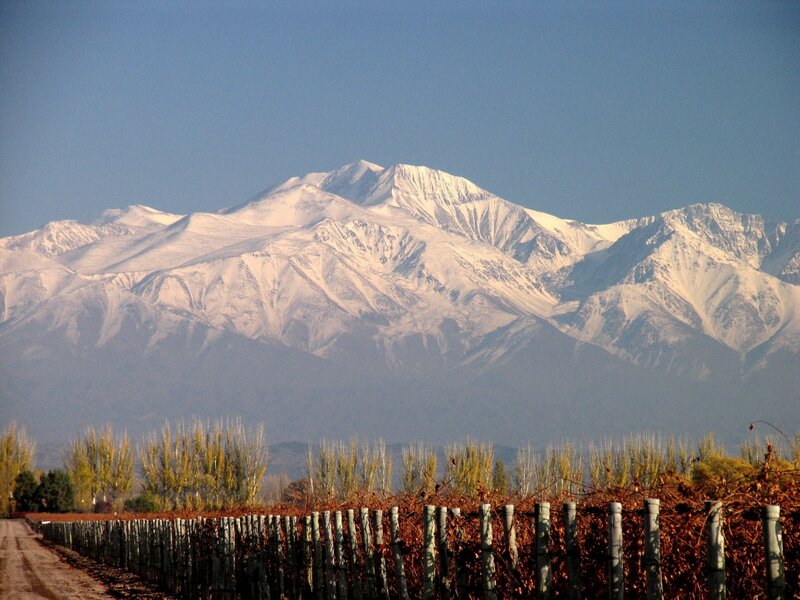 You come to Mendoza for the wineries, the excellent Argentinean food, the Andes, the friendly people, the local shopping and for the affordable pricing. Within an hours drive there are several hundred wineries – mostly appointment only, and the specialty here is Malbec. The Andes are a bit further but what a drive you can find on the International Route 7 towards the Chilean border. 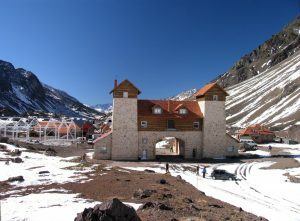 As you near the high pass, you drive by a viewpoint of Aconcagua the world’s highest mountain outside of the Himalayas. The Andes are Mendoza’s outdoor playground and you can find skiing, trekking, rafting and other adventure activities in Mendoza’s backyard. Hi Dave, thanks for featuring Mendoza, Argentina. I think this is an interesting place to travel. Agness – yes it is, especially if you enjoy wine and mountains!